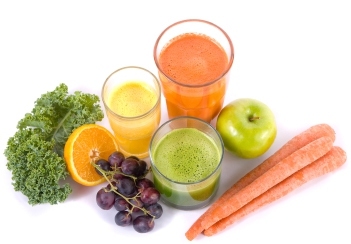 Juice fast is a special diet in which you rely on healthy juices only for detoxing your body. Juice fasting is also referred to as a liquid only diet and is commonly observed by different celebrities of Hollywood as it is a fast and efficient remedy for rapid weight loss; plus it flushes out the toxins from your body. This practice is normally misunderstood and has a huge risk of being detrimental to your health in case you fail to practice it the right way. What exactly is juice fast? How can people benefit from this diet? Are there any risks involved? What is the safe method to practice juice fast correctly and safely? What things must you consider when doing this diet? Juice fasting is a kind of cleansing or detox diet in which you only consume fresh fruit juice accompanied with lots of water for a certain time period. It is a rapid detoxification and weight loss method as you consume a very minimal amount of food and do not intake any heavy solid food items. Normally, a juice fast diet ranges from a couple of days to numerous weeks. It focuses mainly on unpasteurized and fresh juices which means that you aren’t allowed to consume the bottled juice you normally puck up from the supermarket. It is best to consult a doctor or nutritionist regarding how to juice fast the right way according to your health and body. People suffering from a medical condition must do juice fasting after consulting their health care provider especially if the fast is planned to last for longer than 3 days. 1. Juice fast gives your digestive system a resting period. 2. You experience increases spiritual, physical and emotional sensitivity. 3. You go through safe and fast weight loss. 4. Your complexion glows and becomes clearer than before. 5. Enhanced vitality and energy levels. 6. Chronic diseases induced by poor lifestyle and diet begin healing. 7. Your immune system strengthens. 8. Juice fasting assists your system in absorbing all the essential nutrients contained in vegetables. Prepare your system for juice fasting. Take a day before starting your 3 day juice fast so your body can survive the fast. Eat raw veggies and fruits during the day; drink juices in breakfast as well as lunch followed by a salad containing fruits and raw veggies. Here are two great juice fats recipes. Instructions: Put all the ingredients in the blender and process it till you get a fine consistency. It makes two servings. Instructions: Put all the ingredients in a blender and process it. You can consume as much fresh juice as possible during the day. Juice fast must not make you feel starved so you are allowed to drink a large quantity of healthy juices throughout your course of the fast. The nutrients and vitamins packed in the juice will help you function during the day and will cleanse your body. This is why nutritionists put no restriction on the quantity of juice you can drink during your juice fast. Make sure to consume a minimum of four juice servings every day. If your aim is to lose weight via the juice fast then too you must not limit the quantity of juice you consume. You are already depriving your body of calories and restricting your juice consumption will make your body go to survival mode, making it retain extra weight so do drink at least 4 glasses of juice daily. For beginners, it is best to start the juice fast for two to three days and then slowly increase its period. Juice fasts tends to be intense and going on long juice fasts can often make you break the fast that isn’t a good thing. Therefore, start with a juice fast ranging from 2 to 3 days and don’t go beyond a week. Juice fast that extends for several weeks can result in nutritional deficiencies in your body. Normally, people feel comfortable starting the juice fats on Friday and ending it on Sunday. One of the best benefits of juice fast is simplified grocery shopping. You just need to purchase produce and that’s it. Get vegetables and fruits that are very hard and are rich in water such as carrots, celery, ginger, beetroot, apples, leafy green veggies, oranges, grapefruit and lemons. Soft food items such as avocados and bananas are not rich in water. The rule of thumb states one should experiment during their juice fast. 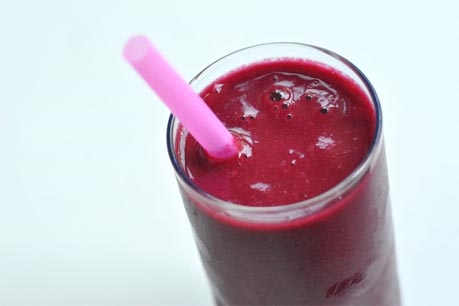 Herbs, vegetables and berries can easily be juiced so should be tried. Mix different fruits and veggies together to produce different types of healthy juices. Rest your body and try to stay stress-free as stress can have a detrimental effect on your body during the juice fast.